A room conversion can come at the most unexpected times. That's because the need to convert a room can come…well…most unexpectedly. Your youngest has finally moved out. How about converting that bedroom into a sewing room? Downsizing at work has hit home (you always wanted to run your own business anyhow, right?). Time to create a home office. The pregnancy test reads "positive" – yahoo! Better convert the guest room into a baby's bedroom. Good news on last week's lottery ticket! So why not create the painting studio you've always wanted – you're just decided to retire early, right? Knowing local building/construction ordinances specific to residences. In some cases, you could be required to have architectural plans approved by a structural engineer, as well as a building permit. The electrical may need to be re-wired or even added. If you're converting a garage, don't forget insulation. Depending on the room, you may want to add or remove windows. Connect to the existing plumbing and HVAC unit, if at all possible. You don’t need to fret the list above. This is where your ProSource trade pro member proves their worth by being your guide for what may be needed. Now as for a specific room conversion, here's where the fun begins! A library, study or home office would be ideal with carpet; and the thicker the better to ensure a quiet, relaxed workspace. 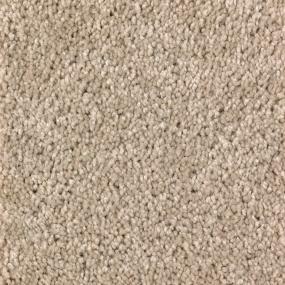 Carpet would also be best in a media or music room for optimum acoustics. If converting a room to a sewing room, studio or a playroom for kids, consider using a non-carpet flooring, such as laminate, vinyl or tile, – these would be much easier to keep clean than carpet. Plus, mom's dropped sewing needles are pretty tough to find in a deep-cut carpet! Yes, they're known as the "kitchen" category of products in the ProSource catalog, but practically any room conversation will necessitate cabinets or storage space of some sort. No matter the need, from the most luxurious looking woods for a library to convenient hidden draw storage for a new home bar, they can be had. And for any room that requires a sink, faucet or countertop, product offerings from ProSource Wholesale include everything from the simple – for, say, a kitchen extension – to sublimely styled faucets that would turn a newly converted billiard room into a first-class entertainment area. There are a number of room conversions that may require a new bathroom, including a guest room that you plan to rent out or perhaps a new, oh-so-private work space. So peruse the ProSource catalog for the faucet, sink and more of what you need. And images you like to the myProSource Project Center. With the help of a ProSource Wholesale trade pro member, your room conversion stands to be a much simpler proposition that you may have expected – no matter how unexpected the need.